EghtesadOnline: The government is looking to float the shares of the Middle East’s largest gas processing plant (GPP), the chairman of Tamin Petroleum and Petrochemical Investment Company said on Tuesday. “President Hassan Rouhani has ordered to prepare Persian Gulf Star Refinery for listing on the equity market. 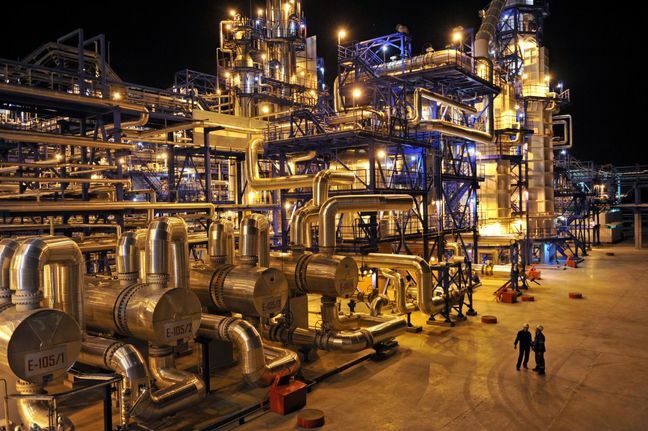 The process is currently underway in cooperation with the Social Security Organization and Social Security Investment Company,” said Mahmoud Makhdoumi, whose company owns the majority stake in the refinery. The official added that they’re holding talks with other shareholders, including the National Iranian Oil Refining and Distribution Company, with an 18% stake, to also include their shares in the offering, ILNA reported. TAPPICO is already listed on Tehran Stock Exchange with a $2.9 billion market capitalization as one of Iran’s largest exchange-listed holdings, Financial Tribune reported. The refinery converts light crude, known as condensate, into gasoline and naphtha. Its first phase was inaugurated by President Rouhani in March 2017 and the second was launched two weeks ago. The project is expected to go into full swing by the end of the current fiscal year (March 2019) with a total capacity of 360,000 barrels per day. Located in the city of Bandar Abbas in the southern Hormozgan Province, the refinery’s capacity expansion can effectively make Iran self-sufficient in gasoline output and turn the country into an exporter of the product. Official statements have stopped short of putting a definite value on the refinery. However, latest statistics show that it has produced $5.4 billion worth of gasoline, diesel and liquefied gas since its launch.